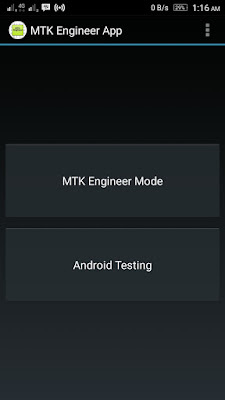 MTK Engineer app is an app to allow access hidden feature of Mediatek phone base and other CPU chipset. 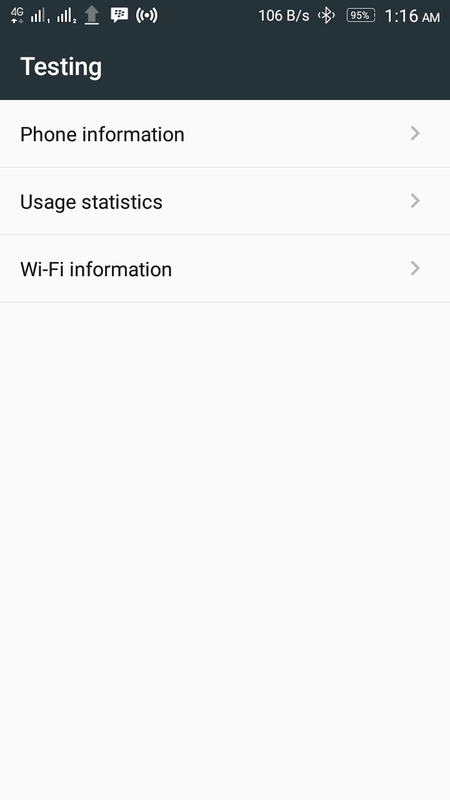 it has been releeased new update to version 1.3. it has increased of supporting more devices for Android 7.0 Nougat. 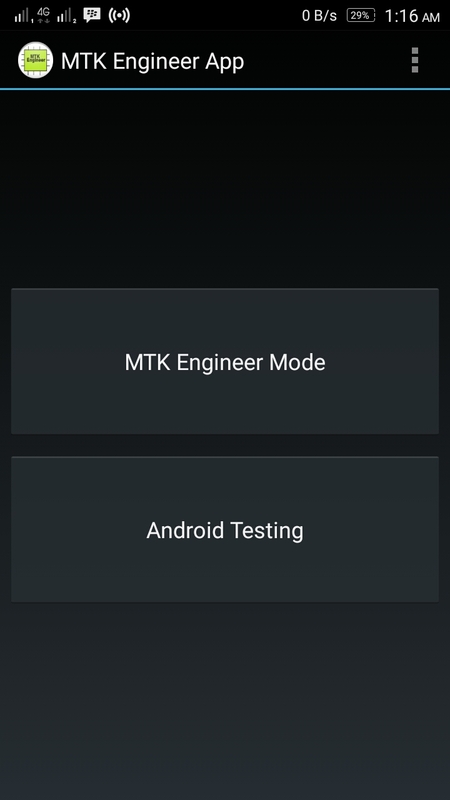 MTK Engineer mode has two menus. 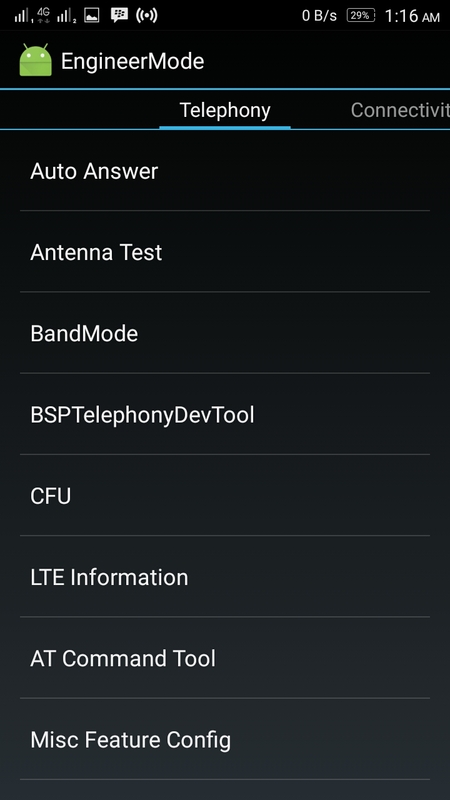 they are MTK Engineering mode and Android Testing. Both are hidden feature we coould access without remember any secret code. 1. 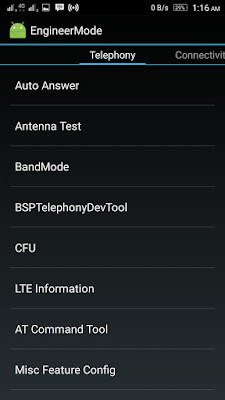 Tab Telephony : Auto Answer, Antena Test, BandMode, BSPTelephonyDevTool, CFU, LTE Information, Misc Feature Config, Modem Test, Network Selecting, NetworkInfo, GPRS, HSPA Info, Mobile data service preferred, Fast Dormancy, RF De-sense Test, SBP, Simme Lock, U3 PHY Switch, World Phone, SIM switch, Backgroud Data Select, MD EM Filter, Background data select. 2. 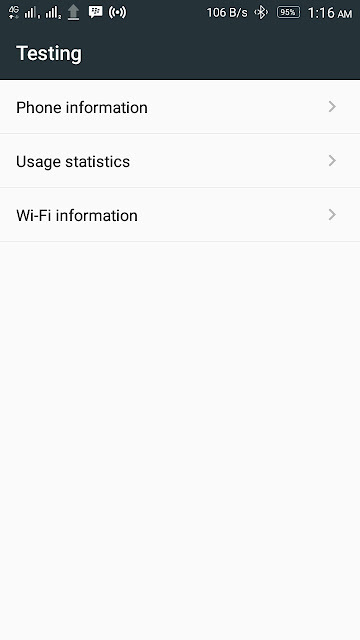 Tab Connectivity : Bluetooth, FM receiver, WiFi, Wifi CTIA, WiFi Display, Gattprofile. 3. Tab Hardware testing : Audio, Camera, Driving Current Camera, ESN Track, De-sense, Non-sleep Mode, IO, Memory, Power, SD Card test, Touchscreen, USB, UART?USB Switch, Sensor, Video. 4. 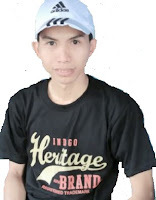 Tab Location : Location Base Service, Auto Dialer, YGPS, CWTest. 5. Tab Log and Debugging : BatteryLog, Debug Utils, Modem Warning Setting, MTK Logger, ATCI, Modem Reset Delay Setting. 6. Others Tab : SWLA, Thermal, CMCC FT Pre-Check, USB ACM, MoMs.